Lefty HBO host John Oliver lashed out at Jay Leno on Sunday, trashing the former Tonight Show star after he called for more balance in political comedy. 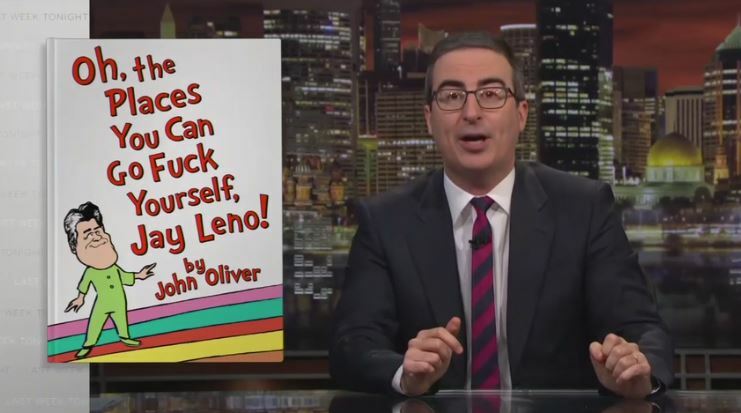 Instead of focusing on Leno’s call for more fairness, Oliver attacked the comedian as a hypocrite. Honestly, I don’t watch any “late night” chat shows.